For bodybuilders looking to cut down on the fat, Clenbuterol cycle results can be very tempting. Although it is considered to be a bronchodilator, which can bolster performance athletically, its thermogenic properties are why it’s so popular for cutting. But if you’re planning to use Clenbuterol for bodybuilding, you need to know how to take this chemical properly. There are always risks to bodybuilding compounds, even if they’re not anabolic. For this reason, it’s very important to understand how Clen works on your body, the optimal dosages, and the potential side effects. We’re going to cover the basics of this chemical, the benefits it can bring, and the natural alternatives. The exact Clenbuterol cycle results that you experience depends on the dose, your exercise regimen, and your diet. And remember: Clen isn’t a steroid, it’s a sympathomimetic amine, which means it mimics the activation of the sympathetic nervous system. With prolonged use, this is a powerful chemical for weight loss that many bodybuilders swear by as an addition to anabolics. Obviously, the before and after Clenbuterol results can vary depending on your body type, regimen, and diet. But in general, weight loss is the most common result, and the extent depends on the length of use. Since Clenbuterol’s effects are sympathomimetic, it boosts your metabolism and rate of fat burning. Generally, this means more fat loss effects the longer you use it. If you find clenbuterol tablets, they will probably be in 20 mcg doses. Occasionally, you’ll find brands that are sold in 40 mcg doses, but they’re less common. Which should you use for your Clen cycle? It really depends on your goals. Most bodybuilders recommend 40 mcg daily to start, which is 1 to 2 doses a day. For 2 week cycles, most gym rats up their dose by 20 mcg every 2 to 3 days until they feel comfortable. Other bodybuilders start with 40 mcg every 2 to 3 weeks, followed by increases of 20 mcg every 2 to 3 weeks until they hit their desired results. Using such a plan involves starting with 40 mcg and simply increasing as needed until 4 to 6 weeks. Afterward, they take a 4 to 6-week break and then start the same routine again. Clenbutrol is a legal alternative that comes in capsules that make for simple consumption and dosing. They are taken 3 times daily for 2 months at a time, with a 1.5-week break in between. Finding clenbuterol for sale isn’t too hard. In fact, it’s not considered a steroid—it’s a research chemical that lies in a legal gray area. But when you purchase it for your routine, it’s considered illegal. Although you’re not likely to get caught purchasing it, it’s always a risk. These products are not prescription quality. In fact, many are likely underdosed and counterfeit. Of course, some suppliers will sell products under these brands to take advantage of their popularity. Although Clenbuterol side effects are milder than the stronger bodybuilding enhancing chemicals like Trenbolone, there are still adverse effects. Over time, you can expect more severe effects such as increased stroke risk, irregular heartbeat, increased bone fragility, and heart cell degeneration. For natural alternatives to help you during cutting cycles, there are a few options. 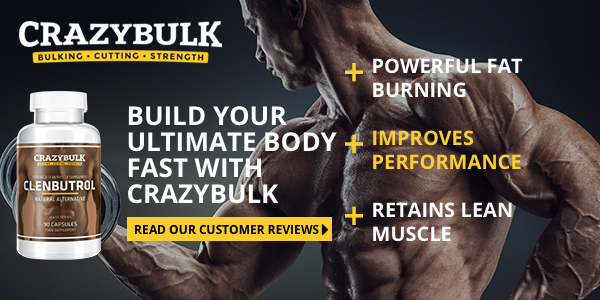 CrazyBulk’s Clenbutrol is marketed as a legal alternative to synthetic Clen. Glad that I listened to all the other reviews, I lost almost 10 pounds and had way more energy! Have lost 4 kgs in a week and a half. Also have the energy to train longer and harder. Visually looked more defined, didn’t really affect my weight lifting—maybe 2 kg more in benching. Nothing big. As you can see by the last review, this is not a magic product that will give you extreme gains like synthetic chemicals. But with some hard work, it can add a solid foundation to your routine and diet. Depending on your goals and dosage, Clenbuterol cycle results can vary. With the right regimen, you can definitely cut down on your fat and improve your muscle tone. But if you have your health in mind, we recommend natural alternatives. They might not be as conducive to fast results, but they are completely natural and better for long-term longevity. Using a proper Clen cycle can be the difference between excess body fat and the perfect chiseled physique. A common bronchodilator used to treat asthma, Clenbuterol is harnessed by bodybuilders for its thermogenic properties. And with a higher body temperature comes increased fat burning. While it is not a steroid, it can still lead to some nasty adverse effects. And like anabolics, there are natural alternatives out there that can bring similar results without the strain on your body. Below, we’re going to cover the basics of Clenbuterol and its legal alternatives. When it comes to a Clenbuterol cycle, you have a few options available to you. On a bursting cycle, you’re going to use it for 2 days, followed by 2 days off. Using this cycle, bodybuilders recommend that you use relatively high doses. Many people use this kind of cycle for extended periods of time, sometimes for months. You’re using high doses for short bursts of time, so this is the most stressful on your body. The other option is simply referred to as the common Clenbuterol cycle for weight loss. Instead of cycling for two days at a time, you’re going to do it for two weeks. After this, you take a two-week break. When it comes to fat burning, this is the most effective method, more than the bursting cycle. For dosing, you’re going to start low, in the 20 mcg to 40 mcg range, and then increase every day or two. When you hit around 100 mcg to 140 mcg. Your Clen cycle before and after results will probably be impressive with either of the cycles above. But the most effective and efficient cycle is the incrementing cycle. It involves starting with a low 20 mcg to 40 mcg dose, and increasing the dose by 20 mcg every 2 to 3 weeks as needed. While it isn’t the most popular on internet forums and in bodybuilding circles (Clenbuterol cycles on Reddit are typically bursting or common weight loss), it’s the best way to use the substance for the full extent of your diet. In other words, you can keep your metabolism in high gear for the time necessary. Given its use in cutting and weight loss cycles, common Clen cycle results stem from weight loss. And if you want to make sure that you get these kinds of results, you need to choose the right dosages within your cycles. As you can probably guess, your Clenbuterol cycle dosage is going to depend on the kind of cycle you’re running. Of course, when running a Clenbuterol cycle for females, you always want to make sure that your dosage limit is 120 mcg. So the cycle above works for females, but anything that requires a higher dosage should be off-limits. Because you’ll experience dangerous adverse effects. Long-term use can lead to irregular heartbeat, increased bone fragility, increased stroke risk, and heart cell degeneration. As a bodybuilder who should place a high value on your body, these effects are pretty detrimental. 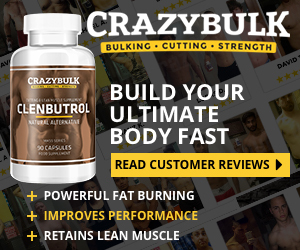 CrazyBulk’s Clenbutrol is a legal, natural alternative to Clenbuterol. Using a combination of natural ingredients, it can help you shed fat and tone up without putting your body at risk. 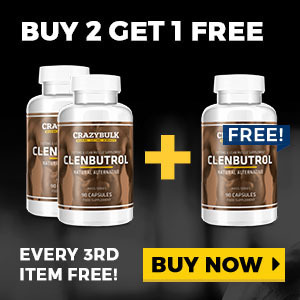 Just like Clen, Clenbuterol is thermogenic and increases your basic metabolic rate (BMR). With a boosted metabolism, your body begins to rip into stored fat for energy. It doesn’t do so to such an extreme degree. This means you can bolster your cutting cycles without worrying about your health. “Dramatically fat-shedding the last 3-4 weeks of a 2-month cycle,” said Andre. “Reduction in body fat and toned up,” said Karine. “Drop body weight by 4 kg and body fat by 3%,” said Rob. A Clenbuterol cycle is what many bodybuilders and athletes jump to for weight loss, but this is before they research the dangers. And with natural alternatives available, why risk the adverse effects? Weight loss is not something that you want to do quickly. For the best, most sustainable results, you need to plan it gradually over a set period of time. A damaged body means you won’t be able to perform in the gym like you want. Invest in legal alternatives and tone up in a sustainable manner. Medscape. To Dope or Not to Dope: Abuse of Clenbuterol as a Diet Drug: An Expert Interview With Drs. Ken McKeever and Hoffman. March 2, 2018. It’s a question that many bodybuilders ask when they’re interested in cutting: Is Clenbuterol anabolic? While it is not classified as an anabolic steroid, research suggests that yes, it is an anabolic substance. Considering integrating it into your stack? While it can help you cut down on the fat, there are numerous natural alternatives that can help you accomplish this without the same effects on the body. After all, this is a stimulant, so long-term use isn’t ideal. Below, we’re going to show you why Clenbuetrol isn’t an anabolic steroid, as well as explore legal, natural alternatives for weight loss. In order to answer the question “is Clenbuterol anabolic,” we need to look at recent research. Clen is known to be a sympathomimetic amine, meaning it stimulates our nervous system. In particular, it acts on beta-2 receptors, which increase metabolic rate. The results of this increase is a loss of fat due to higher body temperature. Instead of directly burning fat through cellular attack, it indirectly reduces it through its sympathomimetic properties. So Clen is not classified as a steroid. But that doesn’t mean it isn’t anabolic. Recent research suggests that this compound can increase lean muscle mass and muscle strength. This data suggests that Clenbuterol muscle gain is possible and it likely stems from is anabolic effects. Whether it’s anabolic or not, Clen results are primarily effective for cutting cycles. Since it’s a thermogenic, it can help you burn fat at a faster rate. It also increases your blood flow, which means your muscles receive more oxygen and you can workout longer. Does Clen make your muscles bigger? And we already said, it is believed by some to be anabolic due to its ability to increase muscle mass and strength. For this reason, some people claim that they also get an increase in muscle size when cycling with it. But is taking Clen worth it? People listing Clenbuterol bodybuilding results typically focus on the positives. But the FDA banned the substance because it increases blood pressure and cardiovascular stress, creating some dangerous health risks. In other words, it works a bit too well. Just look at Clenbuterol results pictures after 2 weeks and you’ll see that it can reduce weight fairly fast, which can be dangerous. Many of the adverse effects of Clenbuterol are what you would expect from a stimulant. Of course, long-term use can lead to more serious issues, including heart problems. This is especially dangerous for those with pre-existing heart conditions. While Clenbuterol before and after pictures might look promising, they don’t take the long-term damages into consideration. In addition to its adverse effects, Clen is dangerous because many online suppliers sell counterfeit products. If you see any pharmaceutical grade products, there’s always the chance that they’re counterfeits in disguise. Like high-grade products, these underground brands are counterfeited as well. Even if you get the real thing, the quality of the laboratories can change at any time. You can also buy Clen from research laboratories, although this is also risky. Since these labs don’t have strict quality control procedures and regulations, you never know what’s in them. 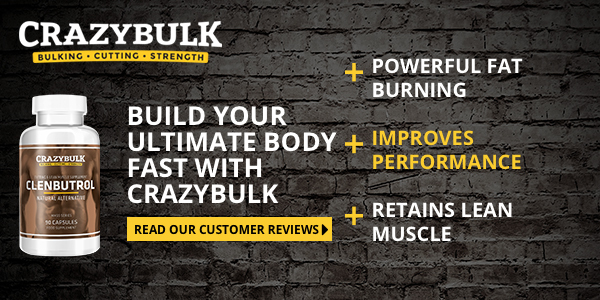 CrazyBulk’s Clenbutrol is a legal Clen alternative designed for cutting cycles, lean muscle retention, fat loss, energy, and endurance. This is a big change from Clenbuterol ingredients, but it’s a change for the better. Using this natural formulation, Clenbutrol works similar to it’s synthetic alternative and boosts your body’s internal temperature. In turn, your basic metabolic rate (BMR) rises, increasing your metabolism and pushing your body to use its fat stores for energy. It doesn’t do so to the extreme that Clen does. This means you’ll still burn through calories and reduce body fat, but without endangering your body in the process. “Dramatically fat-shedding the last 3-4 weeks of a 2 month cycle,” said Andre. “Dropped body weight by 4kg and body fat by 3%” said Rob. “Visually looked more defined,” said Mamdouh. Dosing Clenbutrol is simple enough. Just take 3 capsules per day with water around 45 minutes prior to working out. This is recommended for at least 2 months, with 1.5-week breaks in between cycles. Of course it should be combined with a proper diet and exercise regimen. Without these, you’ll never get the results that you desire. Ask yourself again: Is Clenbuterol anabolic? Studies suggest that it is, but that doesn’t mean that you should jump into a cycle right away. Consider the fact that it’s a stimulant that can have detrimental effects on your health. Using natural, legal alternatives that can help you bolster your metabolism and shed fat without adverse effects. Given that your bodily health is a top priority, using these kinds of performance enhancers is a much safer option. Kamalakkannan G et al. Clenbuterol increases lean muscle mass but not endurance in patients with chronic heart failure. J Heart Lung Transplant. 2008 Apr;27(4):457-61. Maltin, CA et al. Clenbuterol, a beta-adrenoceptor agonist, increases relative muscle strength in orthopaedic patients. Clin Sci (Lond). 1993 Jun;84(6):651-4.